The selection of ViscoFoam mattresses produced by Breasley demonstrate the possibilities that a low value, foam based mattress can offer. Based around a 15cm core of Vita reflex foam, the ViscoFoam mattress combines this with a 5cm of elastic memory foam that can subtly adjust to match the form of your body. The combination of the two types of bedding create offer the perfect balance between support and comfort that define any good medium support mattress. Breasley mattresses are made in the UK so you can sleep in the knowledge that you’re doing your bit to regenerate our economy. To say thank you, Breasley will give you a generous 5 year guarantee with this mattress demonstrating the confidence they have in this relatively new type of mattress that is reflex foam. The 500 in the title of this mattress denotes the 50mm thickness of ViscoFoam at the surface of this dust-mite and bacteria resistant bed that boasts a hypoallergenic status like many of Breasley’s beds that are often composed of foam based materials. An advantageous property of a mattress like Breasley ViscoFoam 500 is that there are no springs in it at all. This traditional but somewhat old fashioned support system is prone to deterioration over time and broken springs and snapped coils are often what ultimately write off a decent old mattress. With no springs, a reflex foam mattress has one less thing to go wrong with it hence the guarantee but it also allows you to roll the mattress up to transport it. Breasley mattresses like this are sold pre-rolled and vacuum packed in fact for your convenience. You can also enjoy free next day delivery on this best-selling mattress. 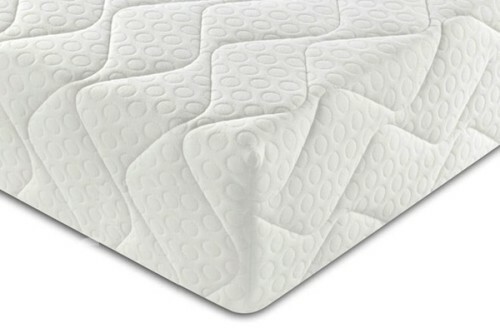 Type: Hypoallergenic, Memory Foam, Reflex Foam. 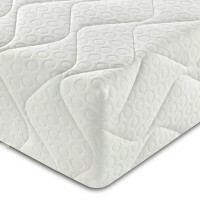 Be the first to review “Breasley ViscoFoam 500 Mattress Reviews” Click here to cancel reply.